Covered Calls are generally considered one of the safest investment strategies around today - mainly because the position taken is 'covered' by equity assets in the form of stocks or other securities, rather than another derivative position (in which case it would be called a "spread"). In fact, to quote the Chicago Board Options Exchange (CBOE) ... "Writing covered calls is not only the safest of all option strategies, it is also safer than purchasing and selling stocks only". Because this strategy involves the purchase of an underlying asset, even if the price action goes against you, you only lose when you sell it. You can choose to hold a stock for a long time until things get better, whereas positions involving only option contracts will eventually expire. Other derivative positions such as futures or CFDs will only increase your losses by the leveraged amount so that you may be subject to a margin call. Owning the underlying security outright usually involves no leverage on capital and therefore, some would argue, less risk. The simple idea behind this strategy is that you sell (or 'write') call options against the stock that you already own. You would normally do so for a strike price above the price you bought the stock for. This way, if the calls are exercised, you will be forced to sell the stock for at least some gain. You will need to own at least enough of the stock to "cover" the number of shares involved in the option contract - usually 100 shares in the USA and other countries like Australia. If you buy shares and immediately sell call options over them all in the same transaction, this is called a "buy-write" trade. The risk involved from selling option contracts is 'covered' by the shares that you can deliver to the market if the options are exercised. If you didn't own the underlying shares and wrote call options, this is called "selling naked" and because you have sold someone the right to buy your shares at an agreed price, it means that if these rights are exercised, you would have to buy the shares at current market price in order to sell them for the agreed strike price, usually lower than market price. Your potential losses would only be limited by the difference between the option strike price and current market price, multiplied by the number of shares in the contract/s, less the options premium received. Naked sold calls therefore have potentially unlimited losses. Covered Calls are a very popular area of options trading and if you have sufficient funds to invest, the strategies we outline in the pages listed below should arm you with sufficient knowledge to trade covered calls quite successfully. So please take a look around and enjoy the journey. Covered Call Options offer investors a low risk way of option trading in such a way that, if done correctly, can easily provide a regular income stream for the rest of your life. What is a Covered Call, you ask? It is something that turns you into more than a shareholder. You effectively receive rent for your assets in much the same way that a real estate investor does. What type of covered call strategy best fits your own situation - earning extra income on stocks you already own, or are you in the business of covered call trading? You may have heard that the best covered call writing strategy is ideally suited to stocks which have good fundamentals and are on the rise. But how do you find these stocks? Is a covered calls and naked puts combination an option trading strategy worth considering? Absolutely! But it all depends how you choose to do it. Writing covered calls is a way to make additional income from some shares. If you combine this with the leverage of margin lending, you can see very impressive returns. Covered Call Investing is a term that we should distinguish from 'covered call trading'. Let's explore some covered call investing strategies for the longer term investor. 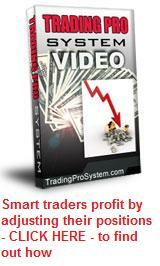 Covered Call Writing is regarded as one of the safest option trading strategies. But what if there was a much cheaper way to achieve exactly the same effect? Would that interest you? You would normally think of selling covered calls in a bull market. But can you still do it when the market is in a primary downtrend? Yes you can! A good Covered Call Screener can make all the difference and it's important you invest in the right tools to maximise your profits. Here, we provide examples of three different covered call strategies together with their outcomes. It then becomes apparent that our choice of covered call strategy will produce different profit results. Covered call strategies are popular due to their capacity to generate regular income. But they also carry a measure of risk so we need to apply the right approach to different market conditions. To autotrade covered calls you need an arrangement with a service that specializes in this type of service. There are some good ones around while others are pretty average. LEAPS Covered Calls are about purchasing a LEAP option as the long position instead of buying the underlying security itself. Being much cheaper, it is a very appealing alternative to the traditional covered call. Here's a more aggressive way to write covered calls. This method provides much greater profit potential but without sacrificing risk levels. Understanding covered calls and the alternative ways you can use them, is essential if you wish to make consistent profits from this popular option trading strategy. Trading Covered Calls During a Financial Meltdown. There are some ways to mitigate the effects of economic uncertainty on stocks when trading covered calls. A covered call write is the art of buying a financial instrument and then selling a call option over it. But how will you structure the trade? Your best covered call picks come from finding steadily rising securities and writing OTM calls. Here's how to stack the odds in your favour. The covered put strategy is perceived by many as having unlimited risk. Let's explore this, because if it is false then many lost opportunities are left on the table. It is the exact reverse of the Covered Call.